In Bright New Day - Simon Bull tapestry we see 2 poppies and tulips as well as other flowers in a sumptuous modern floral work. 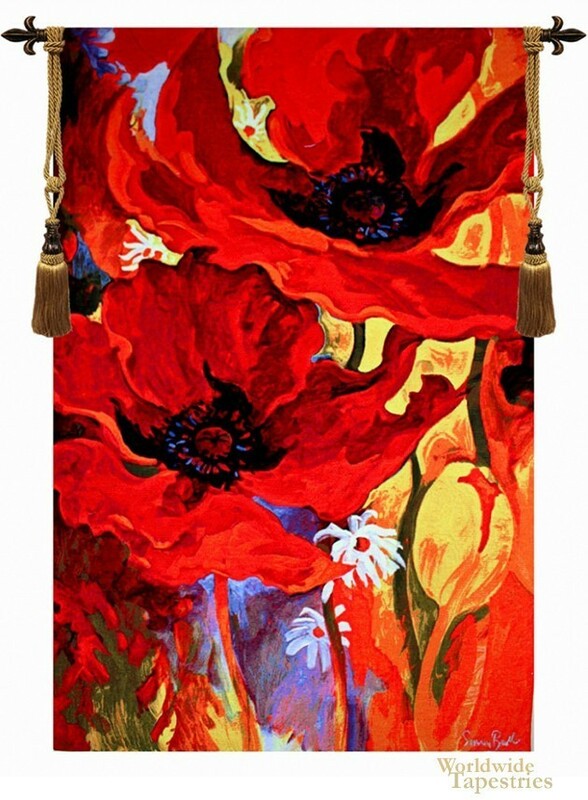 True to the artistic style of Simon Bull, whos works have been renowned all over the world by private collectors and art galleries, this tapestry, based on the art of SImon Bull, shows a florid display of flowers so typical of his works that evoke energy, and vibrancy. This modern floral tapestry Bright New Day is backed with a lining and a tunnel for easy hanging. Note: tapestry rods and tassels, where pictured, are not included in the price.